BC bucket crushers are an innovative answer to crushing requirements on today’s worksites. 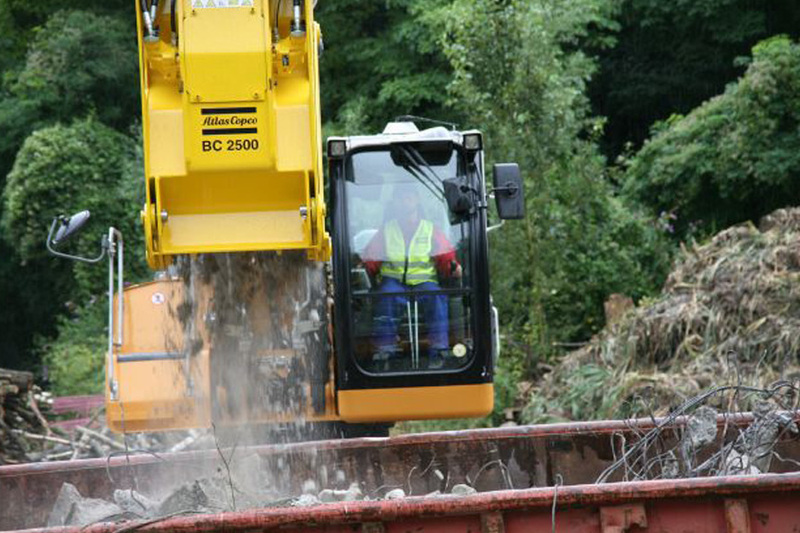 Using a rig-mounted bucket crusher, all types of inert demolition material can be crushed and re-used on site. 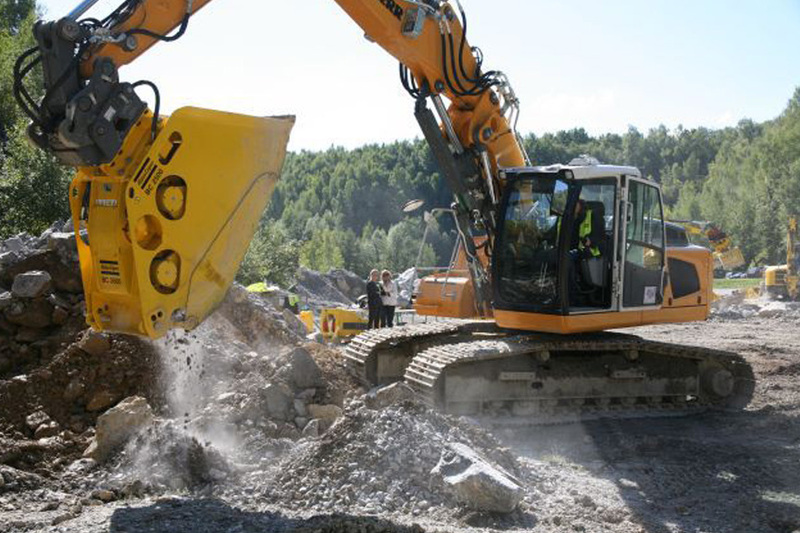 This process requires less mechanical equipment, less transportation and dumpsite cost and only one operator who handles the demolition attachment as well as the bucket crusher. Less transportation or dumpsite cost. 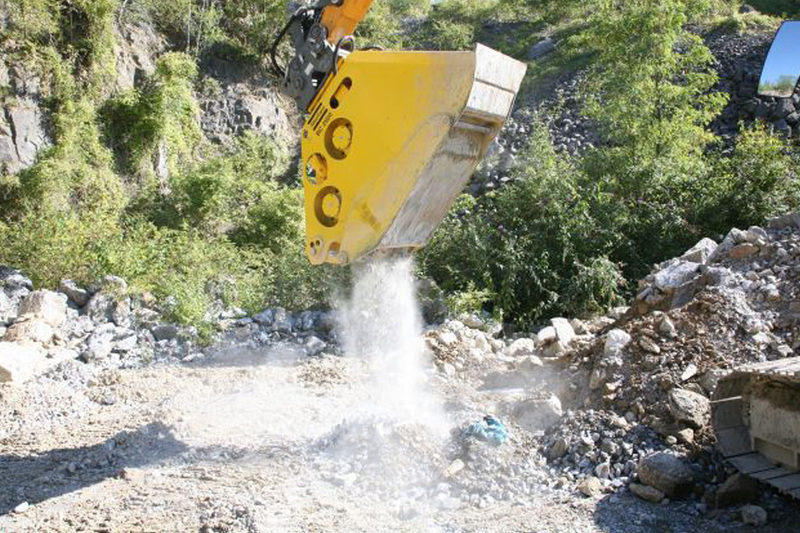 Crushed material can be directly re-used on site or sold to third parties. 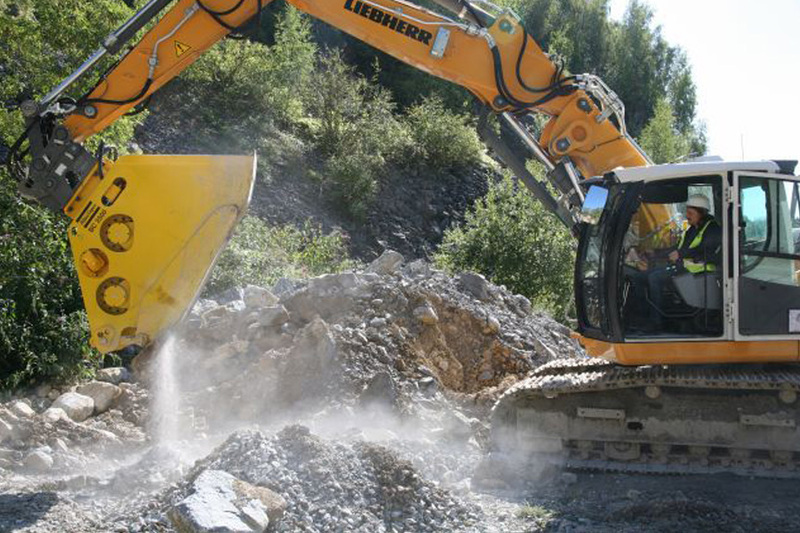 Our new range of bucket crushers offers up to 30 % higher output than it’s predecessor models. A bucket crusher can handle all types of inert material such as asphalt, stone and concrete debris as well as mine and quarry material. The use of a traditional crusher is often hindered by its size. BC bucket crushers can be an alternative at urban worksites and in confined spaces.